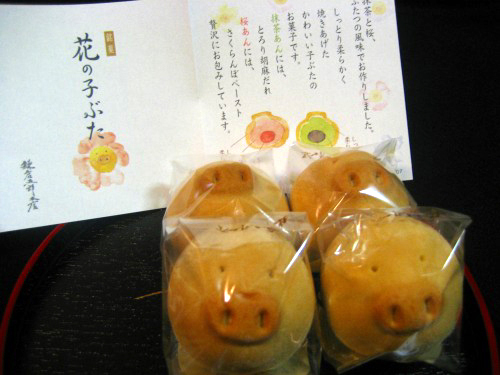 Hana no kobuta means “floral piggy” is one of the Japanese-style confections form kamakuragoro. 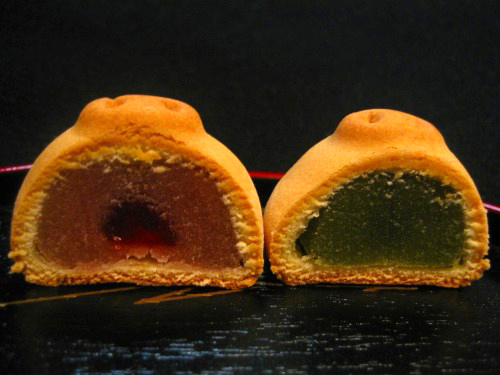 They havd two flavors “Japanese cherry bean jam and green powdered tea bean jam”. They are not only cute but also tasty, good for a souvenir too.